This May, Nashvillians will vote on a transportation plan that includes among many things a three-station downtown transit tunnel shared by rapid buses and light rail trains. Unlike Seattle’s tunnel, it will have all off-board payment. 1. Mercer Island to Sue Sound Transit, WSDOT (2/13 by Zach Shaner) Mercer Island’s tantrum over HOV lane access was a fine opportunity to pillory a privileged group defending their privilege. Although many of their points had no merit, it wasn’t hard to empathize with a few others. 2. 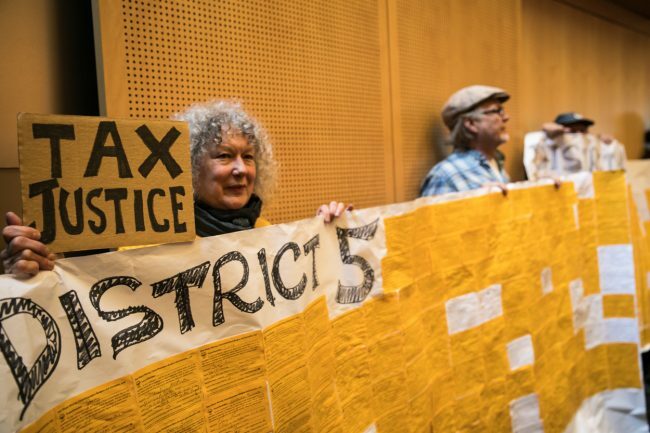 House Democrats All Vote Against Sound Transit (4/13, by Brent White) Sound Transit opponents couldn’t win at the ballot box, so they fired up some angry constituents to scare legislators. This sorry episode is one of the best examples of why we shouldn’t hold public votes on highly technical issues. 3. Seattle Times Editorial Board Flunks Geometry (3/7 by David Lawson) David dismantles the Times Editorial Board’s latest primal scream against change, growth, and the facts of living and working in a prosperous major city. 4. Ban Cars from Third, Now (2/21 by David Lawson) I am a firm believer in rail’s sometimes magical powers, but no one has explained to me why 12 streetcars per hour deserve absolute dedicated right-of-way, while 240 buses per hour on Third are going to have to go through a “data-driven” process to earn the same treatment. 5. 5 Democratic Senators Side with Republicans Against Sound Transit (3/2 by Martin H. Duke) There is a certain willful ignorance among progressive advocates for scrapping the Sound Transit Board. The Republicans they’re voting with are dedicated to gutting urban transit in all its forms, and have no interest whatsoever in efficient delivery of high-quality services. Someone here is a sucker, and I’m guessing it isn’t the Republicans. 6. The Technical Challenges of Seattle-Vancouver High Speed Rail: Part 1 (2/17 by Zach Shaner) We knew Zach and Alon Levy’s series on this project was going to be a crowd-pleaser. It was even reviewed in the legislative report on the project, on which more next year. 7. SE Seattle Representative Sponsors Anti-Sound Transit Bill (1/31 by Martin H. Duke) Another one about “governance reform.” Nothing goes viral like legislative session reports, I guess. 8. Sound Transit to Sue Mercer Island (2/18 by Brent White) As is usually the case, the dueling lawsuits were eventually settled with money. The power of local governments over Sound Transit is one of the principal reasons costs escalate. 9. Amtrak Cascades to Add SEA-PDX Service by the End of the Year (8/16 by Frank Chiachiere) The gradual evolution of Cascades into a fast, reliable service is a good news story, notwithstanding the tragedy this month. Last week, the Sound Transit Board signed off on a $125.7 million budget for preliminary engineering on the Tacoma Dome Link Extension and a $10.3 million consultant contract for the same project. When the extension opens in 2030, trains will run all the way to the Tacoma Dome multimodal complex on 10 miles of mostly elevated track, passing through three intermediate stations before reaching Federal Way. Trains will take about 20 minutes to make the trip from Tacoma to Federal Way, and about 35 minutes from Tacoma to Sea-Tac Airport. Like the “accelerated” schedule for the West Seattle and Ballard extensions, Tacoma Dome Link will take until 2019 to decide a preferred alternative and a final environmental impact statement may not be published until 2021. 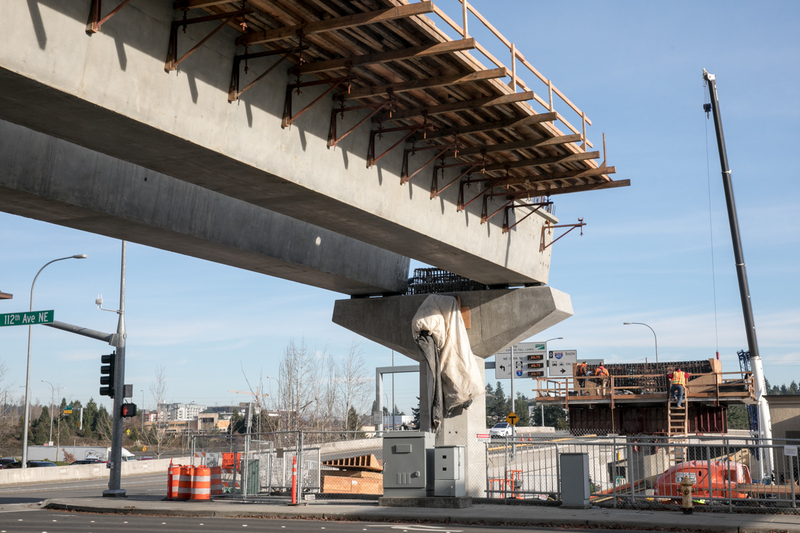 Construction won’t begin until 2025, a year after light rail trains start serving Federal Way. With a fresh blanket of snow Christmas morning, even in the lowlands, it is a good time for a refresher on getting all the information you need to find your bus in a snowstorm. First, since it is Christmas, most transit agencies are either running on a Sunday schedule, or off for the holiday, so be sure to check what schedule your agency is running on. Metro has an adverse weather page which shows whether it is running on regular-scheduled routes or snow re-routes, for each part of the county. Each route map also shows a red-dashed snow route. The best way to get the latest information on re-routes is to sign up for transit alerts. You can sign up to get alerts from Metro, Sound Transit, Community Transit, Everett Transit, and Kitsap Transit. Community Transit has the most technologically-advanced system for warning riders that buses will not be serving their stop during a snow re-route: stickers on the bus signs. This is a Snowpen Thread. Merry Christmas, Happy Hannukah, Happy Kwanzaa, or just Blessed Be, and hope you had a safe and wonderful Solstice. A look at the people and technology behind Tokyo Metro’s renowned punctuality, safety, and exceptional customer service. From 4 am on New Year’s Eve to 4 am New Year’s Day, riding King County Metro will be free! Metro will be running on its Sunday schedule, but extra trips will be added on routes 1, 3, 4, 5, 7, 8, 14, 24, 32, 36, 40, 41, 62, 65, 70, 101, 106, 120, 124, 150, 255, RapidRide A, B, C, D and E Lines, and ST 550, ST 554. Thanks to the September route restructure (with funding from SDoT), there is already a substantially-more-robust night owl bus network. Both Seattle Streetcars will be running until 1 am that night, and will also be free, running every 15-18 minutes. But walking will likely be faster than the SLUS in the post-midnight crowd, and there will be others needing that ride and the limited space. Link Light Rail will be running an extended schedule that night, with trains departing Angle Lake Station every half hour from midnight to 1:30 am and departing UW Station every half hour from midnight to 2 am. Fares will still apply. 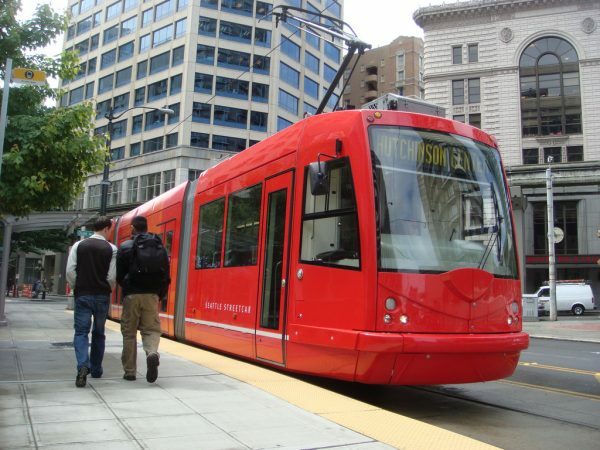 The Tacoma Link streetcar will run until ca. 1:00 am, and is always free. Sounder will serve the Seahawks’ regular season finale the afternoon of New Year’s Eve, and then will not be in service on New Year’s Day. 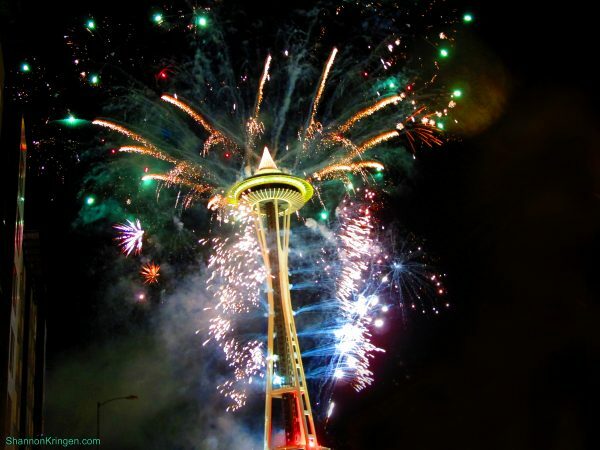 The Seattle Center Monorail will close down at 11:15 pm in preparation for the traditional pyrotechnic show from atop the Space Needle, and re-open approximately 12:20 am, and then run until 1 am. It isn’t free either, and it still only takes cash. ORCA and bankcard acceptance is in the works, but still months away, at least. The integration of the monorail into the public transit fare system may be the most exciting transit story to look forward to in 2018. Stay safe through the holidays. If you are going to partake of mind-altering substances, leave the driving to someone you trust. Despite having all the necessary equipment for positive train control (PTC) operation installed between Everett and Tacoma, the safety system is not fully operational on all Sounder trips, Sound Transit said Wednesday. In a letter to boardmembers, CEO Peter Rogoff said that currently, due to technical issues associated with new deployments, only about 56% of trips operate under PTC. PTC technology requires the installation of wayside equipment along the track as well as onboard locomotives, monitored by a back-office system. In the letter, Rogoff said Sound Transit, which owns the stretch of track from Tacoma to DuPont where Monday’s incident occurred, has already installed all wayside PTC equipment and all Sounder locomotives are equipped with PTC hardware. According to Rogoff, BNSF has also fully installed and activated PTC along the section of track from Tacoma to Everett. BNSF also handles Sound Transit’s PTC back-office system at its control center in Texas. “Before PTC is operational on a given segment all of these equipment systems must communicate with each other seamlessly following complex configuration work and the completion of testing,” Rogoff said in the letter. Over a year and a half after the new State Road 520 bridge opened to car traffic, pedestrians and cyclists will finally be able to cross Lake Washington using the floating bridge. The new 2.7-mile 520 bridge shared-use path, linking Seattle and the Eastside, is set to open at 3pm on December 20. Not only will this expand commute options, the new SR 520 path will also add to the 60-mile Lake Washington Loop Trail. Cascade Bicycle Club is planning several inaugural rides starting on both sides of the bridge to celebrate the grand opening. 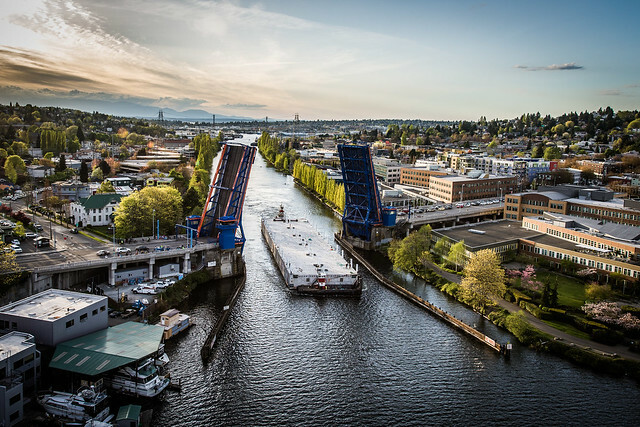 An “out and back” version of the trail, which extended from Medina about 1.3 miles across the bridge leaving Seattle just out of reach, has teased bike commuters and pedestrians since it opened in summer 2016. On the Seattle side, the complete trail set to open Wednesday starts at Montlake Park near the Arboretum and runs along the north side of the rebuilt bridge, ending in Medina. A concrete barrier separates the 14-foot wide multi-use path which has 11 viewpoints and resting areas dotting the trail. WSDOT said a specially designed railing will provide views of the lake while keeping non-motorized travelers safe. The path has a 15 mph speed limit and bicyclists and pedestrians are not required to pay the toll. A specialized sweeper, nicknamed Broom Hilda, will be used to keep the shared-use path clean. Although the human impacts are miniscule compared to those of the accident itself, there will be only minor changes to Amtrak Cascades service until further notice. According to Janet Matkin of WSDOT, the state has already taken possession of enough rolling stock to run all scheduled Cascades trips. Obviously, these trips will take the old route around Point Defiance until further notice, adding 10 minutes to all trips and increasing reliability incidents due to freight conflicts. This means that trains will stop at the old station location on Puyallup Ave. in Tacoma. This morning’s train 502 from Portland was cancelled, but that should be it for cancellations. Matkin said that inspection of infrastructure at the accident site is ongoing, so it is impossible to say when trains may use the new track segment again. With the national attention that yesterday’s tragic derailment is getting, we felt it would be best to provide a bit of context about the accident’s site: the Point Defiance Bypass. While it is a “new” railroad, built primarily for passenger use, the corridor is over a century old and some pieces date back decades. The bridge over Interstate 5 in particular was built in 1936 over an older highway and was given new tracks as part of the project. On May 1, 1891, the Tacoma, Olympia & Grays Harbor Railroad announced the completion of a 25-mile railway from Lacey to Lakeview (approximately where South Tacoma station is today), forming a new branch of the Northern Pacific Railway. The main line from Lakeview to Tacoma had been built in 1873 and continued south through what is now Joint Base Lewis-McChord (JBLM) towards Tenino. 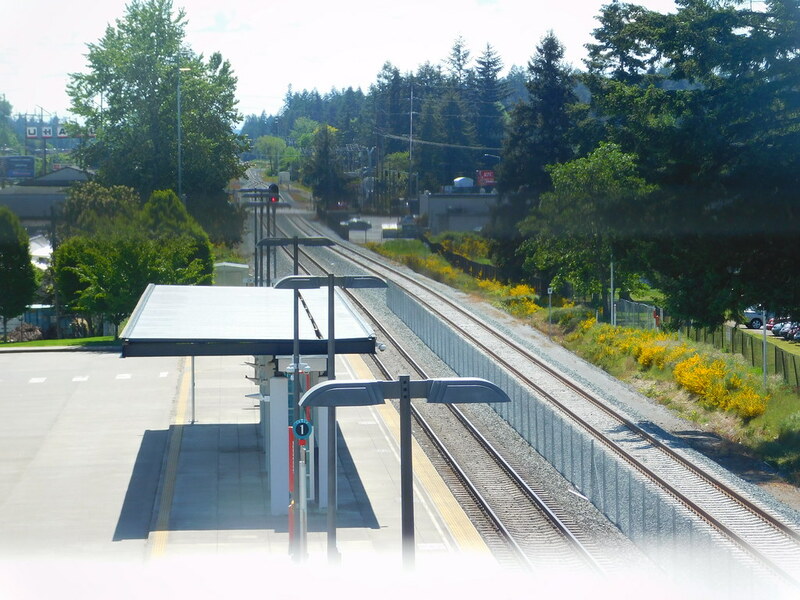 Although a parallel route was built along the coast and around Point Defiance in 1914, this inland route was sparsely used as a freight route by Northern Pacific, and later Burlington Northern to access the JBLM and South Tacoma areas. 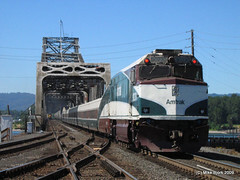 By the 1990s, the railway was underused and caught the interest of WSDOT, who were planning what would become the Amtrak Cascades network. 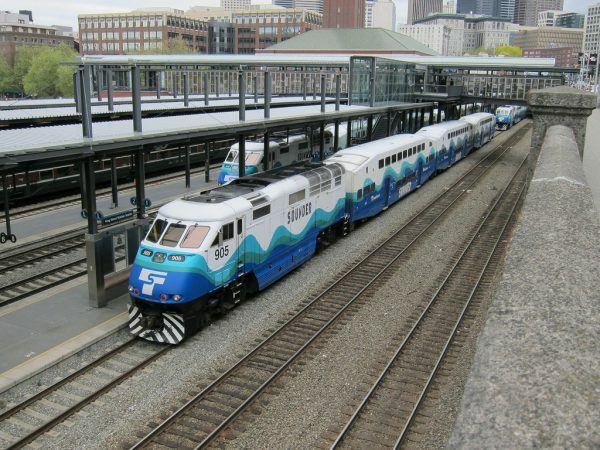 While Amtrak trains were using the route along the coast, the state’s 1997 Intercity Passenger Rail Plan envisioned a faster, inland route coupled with a new multimodal complex in Tacoma to link up with the Sounder and Link lines that Sound Transit planned for the city. The state legislature approved design and property acquisition funds in 2005, beginning a long series of back and forth meetings with cities, residents, the military, and other groups along the route. Sound Transit later acquired the whole corridor from BNSF in 2004. President Obama’s 2009 stimulus package gave the bypass the boost it needed, providing much of the funding for the $181 million project and accelerating the completion date from 2019 to 2017 (a deadline mandated by the federal grant). By the following year, WSDOT was deep in environmental assessment and Sound Transit had already started moving dirt on the Lakewood to Tacoma segment. 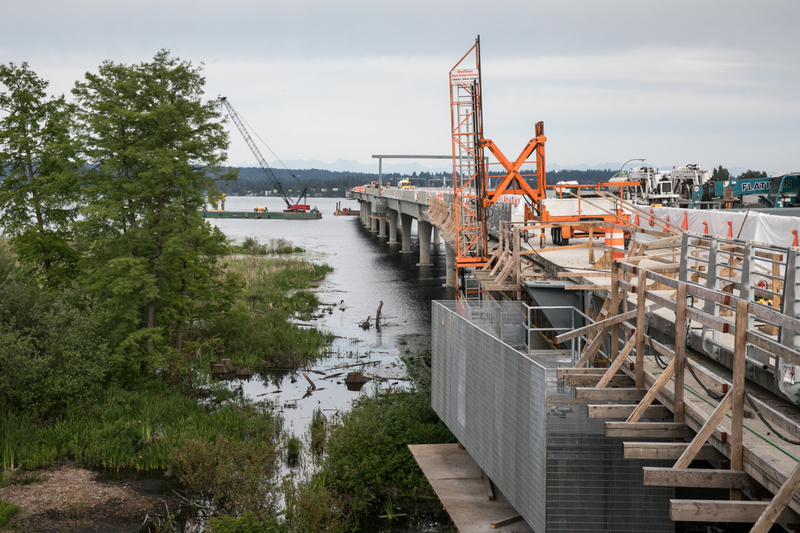 It received final approval from the Federal Railroad Administration in early 2013 and began construction in 2015, with work on the Nisqually junction completed later that year. 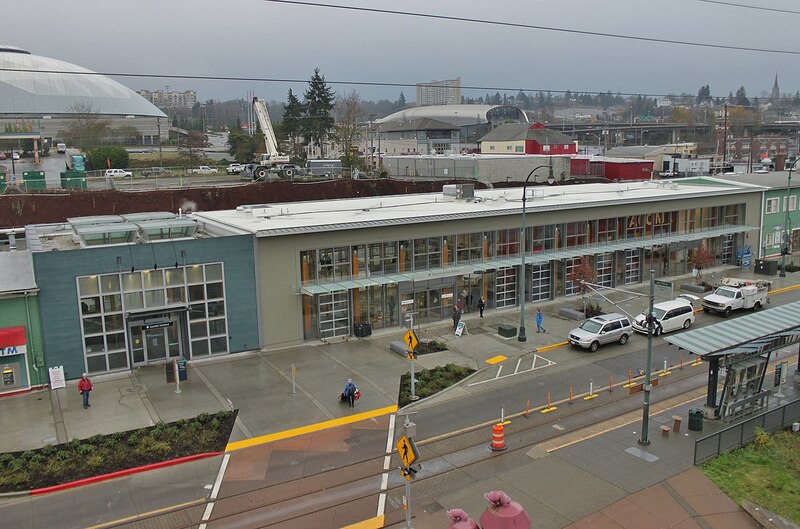 The new station at Tacoma’s Freighthouse Square encountered a speed bump late into property acquisition negotiations, but was ultimately able to break ground in July 2016. Extensive testing on the whole corridor began in January of this year, with WSDOT and Sound Transit rolling out public service announcements about train safety. Passenger service began yesterday morning, and seemed to be going smoothly, until the train reached one of the final turns on the approach to Nisqually junction at 7:30 am. While the investigation has not determined the exact cause of the crash, early indications show that the train was traveling overspeed on a downhill section before the turn. Amtrak Cascades #501 south from Seattle derailed this morning, while crossing over I-5 in the vicinity of Mounts Road, west of Dupont. There are at least three casualties, many injuries, and some carriages are a total loss. Our thoughts are with survivors, and the families of everyone on board. No root cause has been established, although there are no grade crossings on this section of the line. I-5 will likely be closed for hours, so avoid freeway travel in this area and expect major disruptions. Seattle Times is actively covering this disaster. Also, a detailed summary from Sandy Johnston at the Itinerant Urbanist discussing PTC, Amtrak, and much more. 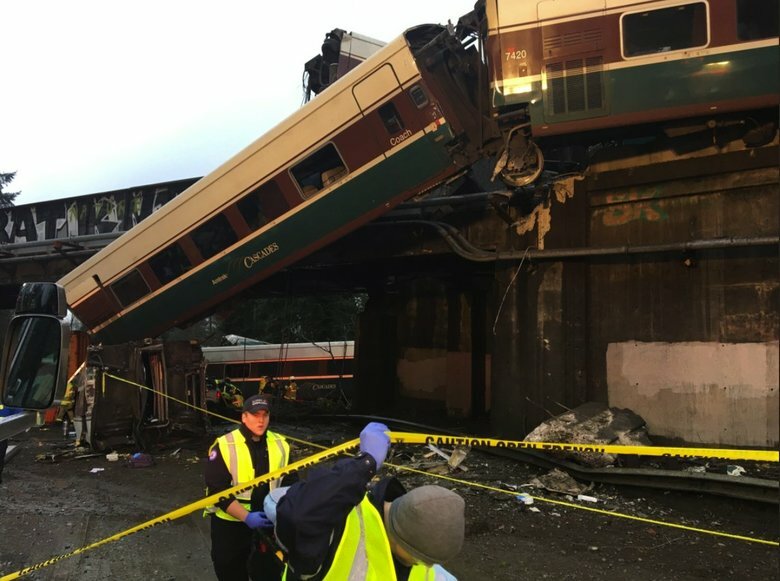 Update 12/19 11:02 AM: Zack Willhoite, Pierce Transit employee and frequent STB contributor (MrZ) and Jim Hamre of All Aboard Washington, died in the accident. Our thoughts are with their families and the communities they helped to build. Yellow shirts filled Seattle City Council chambers, holding posters with hundreds of hand-signed petition along the walls. Members of the Transit Riders Union were out in force to voice their opinions to councilmembers, but the topic this time wasn’t potential bus cuts or a push for a low-income transit pass. Instead, the grassroots organization was advocating for an income tax on high earners. 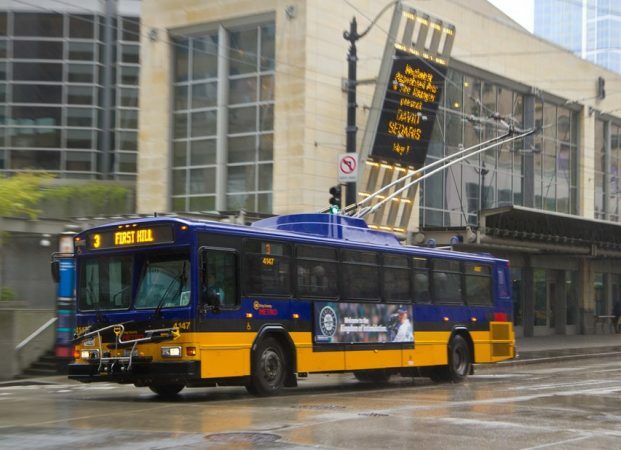 The group’s inaugural 2011 campaign, Save Our Metro, began in response to King County Metro Transit’s plans to cut bus service after the recession caused a steep reduction in sales tax revenue. Now, six years later, the group’s mission has expanded to include this year’s push for a less regressive tax system. “We were interested in not just forming a transit advocacy organization, but in building power by bringing large numbers of people together to fight for political gains in improving the transit system and other issues,” said Katie Wilson, the Transit Riders Union general secretary, describing the group’s origin. For years, TRU fought for various transit measures that increased funding for bus service or expanded light rail. These raised sales and property taxes the group saw as regressive, which was frustrating. To Wilson, one of the founding members of the group, the current suburbanization of poverty in the region led to a natural transition of issues for the Transit Riders Union. 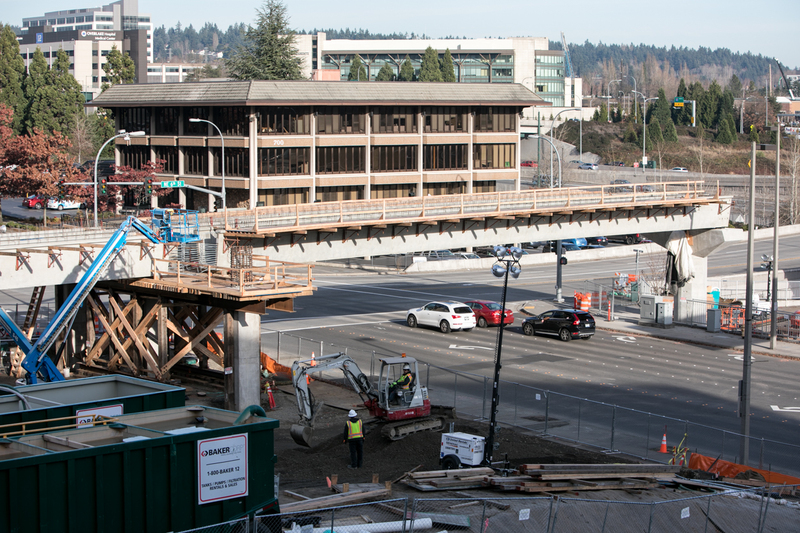 Change is quickly coming to Bellevue as Sound Transit ramps up construction on the East Link Extension. Most recently crews on Monday night began work on the first elevated section of the 14-mile light rail extension, placing two girders that span 112th Avenue Northwest near the future Bellevue Downtown Station. 10 years ago this month, to great fanfare, Seattle’s modern streetcar line opened, a 1.3-mile route between Westlake and South Lake Union. Though it seems insignificant now, cast your mind back to 2007. The Seattle Monorail Project died just two years earlier, after costing the city $125M. A month before the streetcar opening, the Roads and Transit measure to expand light rail had just been defeated. Many people were openly questioning whether rail-based transit had a future in Seattle (Not coincidentally, 2007 is the year STB was founded). Thousands of people crowded into Westlake square to see our shiny new toy. I was working in the neighborhood at the time and recall the insane crowds on opening day. The Seattle Streetcar system has had its ups and downs over the years. 10 years seems like a good time to look back at the system, and forward as the Center City Connector moves forward. After ripping up the last of the city’s streetcars in the 1941, Seattle’s modern streetcar system kicked off with the South Lake Union line (setting aside the historic waterfront line). 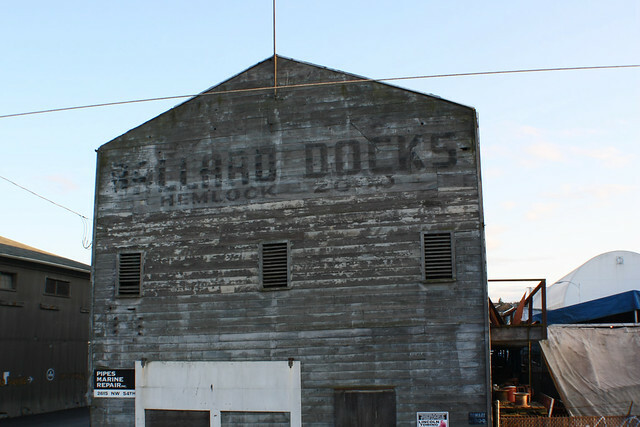 Half the funding was provided by local billionaire Paul Allen, who waned the line as an amenity to kickstart development in what was then the sleepy warehouse district known as South Lake Union. Since then, mayors and Council members have had varying degrees of enthusiasm for streetcars. The streetcar system has taken on a totemic quality that made it about more than just a transit mode choice: if you were for it, it means you were for real estate development and “placemaking.” To be against it was to be for spending money on More Important Things. As with many things in this town, it became a question of What Do We Want to Be When We Grow Up? On Monday, the Seattle City Council approved a partnering agreement to accelerate Sound Transit 3 project delivery. The slideshow, the partnering_agreement itself, and Councilmember Lisa Herbold’s thorough writeup are all online. Most of the agreement is just a commitment to working together and being cooperative, but there are some interesting nuggets. 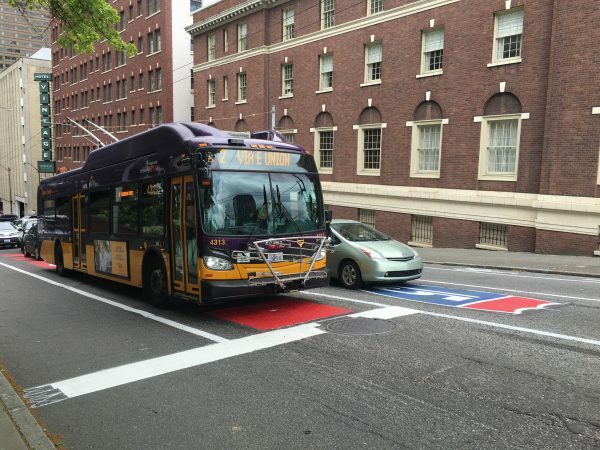 Each agency (ST and SDOT) will have a “designated representative” to serve as a single point of contact, which authority to direct other staff as needed. For ST, this will be Cathal Ridge. 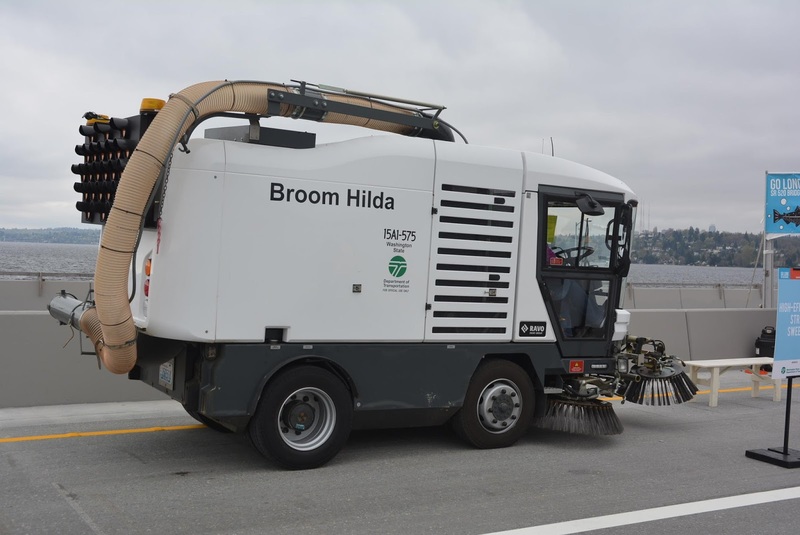 SDOT will name their representative by January 15th. 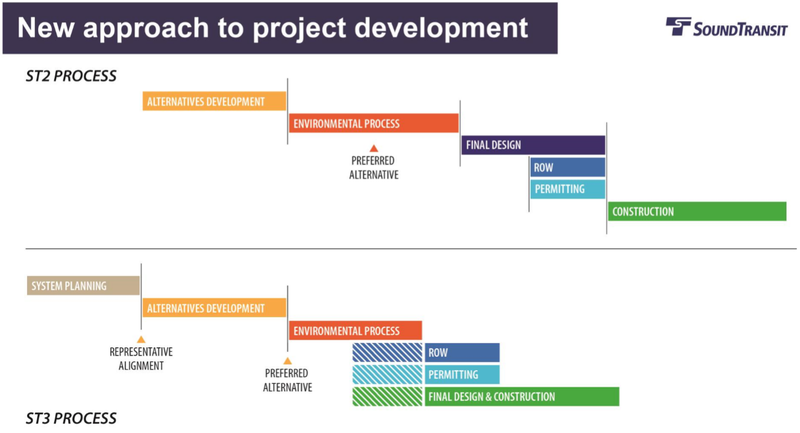 There’s a nice review of how Sound Transit’s workflow will be different from previous projects, in an effort to speed things up.